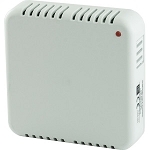 The MeshNet Controller is the gateway between the proprietary MeshNet Wireless Sensor network and the outside world. The MeshNet Controller provides the means to viewing data in real time, configuring Wireless sensors, and a variety of administrative functions. 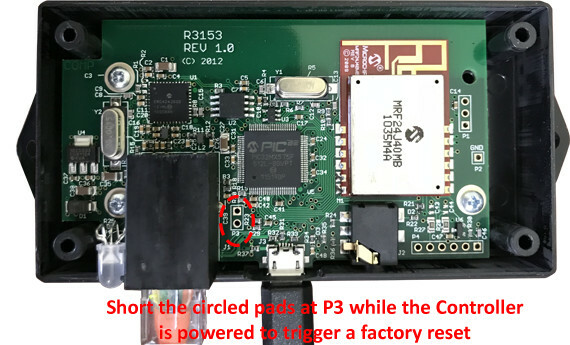 Up to 35 wireless devices can be connected to a MeshNet controller's wireless network and coexisting MeshNet Networks are supported. The MeshNet Controller also provides simple structures for integrating the MeshNet Wireless System into 3rd party monitoring and control applications using SNMP, SNMP Traps, HTTP or HTTP Post. More details for software developers are available in the User Manual. The web interface also provides a straightforward method for configuring MeshNet hardware and a graphing interface which allows for the easy monitoring of sensor data in real-time. Individual sensor pages allow for up to 3 parameters to be displayed for any one sensor. The overview pages allow all sensors reporting a selected parameter to be graphed together. Graphing data can then be easily exported for more in depth analysis with the click of the "Download" button. Take the supplied 3.5mm linking cable (see right) and attach it to the MeshNet Controller. Attach the remaining 3.5mm plug and attach it to the MeshNet Repeater/Sensor. Apply Power to the Controller followed by the Repeater/Sensor. Q: I misconfigured my MN-CTRL's fixed IP address and can no longer reach it. How do I reset the gateway to get access to it? 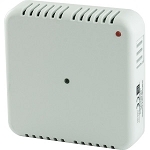 EDS XML Reader - collects sensor data from a MeshNet Controller or OW-SERVER and presents the information in a CSV format. 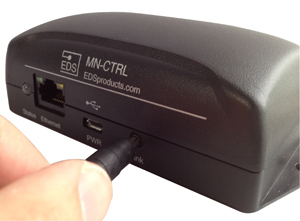 EDS Writer - writes data to modifiable sensor parameters.